In June 2013, I will be joining a group of artists and scientists aboard a barquentine to sail for two weeks in the International Territory of Svalbard. During our time on board, there will be no phones, no internet, and no contact with the outside world except through our eyes and ears. 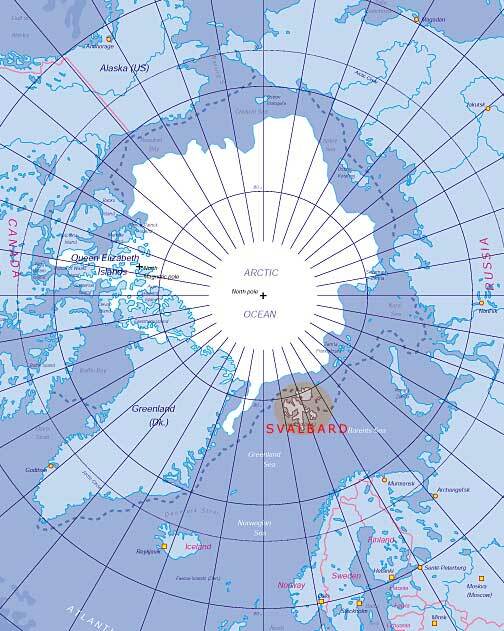 We will sail from Longyearbyen during the time of the midnight sun, so there will never be full darkness, and because of polar bear activity, we will be accompanied by armed guards when outside of the town or during wilderness landings. Most of us, with the exception of the crew and director, will be meeting for the first time, brought together by the mutual desire to create some kind of project out of this experience. My project and purpose on this journey is to document the effect of isolation and extreme environment on all of us as creative people. What will it feel like to be so far removed from what is familiar? Will it be difficult to go without both the comfort and constant distraction of cell phones, texts, email, social media, and television? What will it feel like to be in a place where the environment itself is the dominating force– wind, weather, tides, animals and ice– rather than the human-dominated city I come from? Will I change internally? Will my creative process change internally? How will it effect the others joining me on the adventure? I plan to document in two ways: through journals, and through audio recordings. I will begin now, one month out from the beginning of the journey, and will blog each day until I reach Oslo- June 13, 2013. I will then go dark until July 3rd when I return, when I will post each day’s journal consecutively from the time I was off the grid. I will also produce an audio version of the experience, which will be available in October 2013. Why am I beginning now? Because now is when I am immersed in the before-life. A journey is not measurable unless you have a beginning point from which to chart a shift. I believe that by starting now, I’ll be able to leave a kind of breadcrumb trail that doesn’t just describe, but demonstrates, both a physical and a creative journey. My promise to you? I will hold back nothing. Your blog says you ‘lived to tell the tale’. But this artic journal would (like so many before it) seem to indicate otherwise….. the handwriting degenerating to a scrawl as you write: “the final stick of firewood gone, we were forced to burn the dogs for heat”…. Have you posted the rest of your journal somewhere? I just ordered your book, but am at least as curious about the story of its creation. P.S. The sample story from the book seems to be missing a word. Eric, ha!! Your question has inspired me to write a new post…. stay tuned. PS: Thank you for pointing out the missing word in Sigbjorn’s story! I will fix that today.